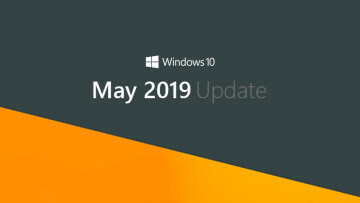 In early May, Microsoft unveiled the Surface Laptop, the first device to come with Windows 10 S, a new edition of the OS that is only capable of running apps downloaded from the Windows Store. 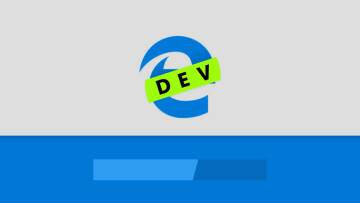 That limitation could be a problem for some users, given that many of the most popular apps on Windows still aren't available on the Store, including the likes of Google's Chrome browser, Steam, and Photoshop. But as Microsoft announced at the same event last month, Spotify - which now has over 140 million users - is coming to the Windows Store for PCs... and it looks like the wait may soon be over. 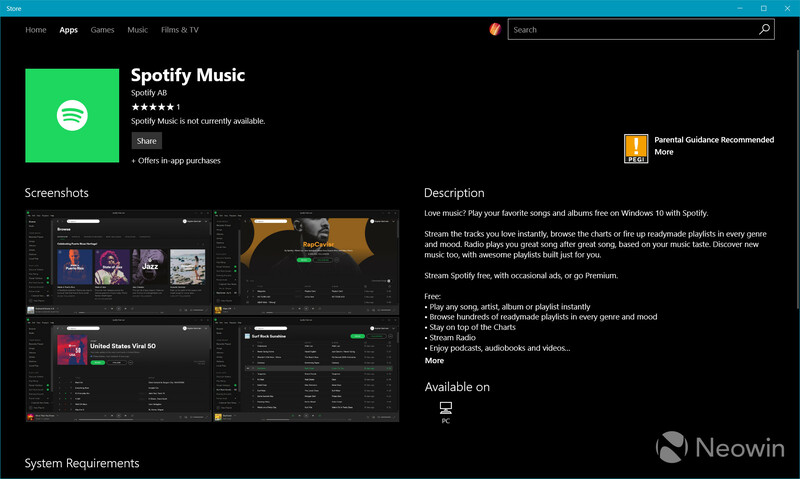 As you can see from the image above, the Spotify app is now listed in the Windows Store - but you can't get your hands on it just yet. While the web listing shows a 'Get the app' button, the Store listing itself states that the app is "not currently available". Nonetheless, it seems likely that downloads will go live soon, although exactly how soon is anyone's guess. Spotify is no stranger to the Store, but so far, it's only been offered for Windows phones. Earlier this year, Spotify said that it was downgrading its Windows phone app to 'maintenance' status, and would no longer add new features to it. Spotify's 'new' Windows Store app is a conversion of the music streaming service's desktop application, rather than all-new software built on Microsoft's Universal Windows Platform (UWP). That means it won't be available on other Windows 10 devices, such as phones, HoloLens, or the Xbox One. The listing also makes this clear, pointing out that the app will only run on PCs with x86 architecture. In a surprise announcement at its Build 2017 developer conference last month, Microsoft revealed that iTunes is coming to the Windows Store too. Update: Well, that didn't take long at all...! Spotify for Windows 10 PCs is now available to download from the Windows Store. 52 minutes ago · Hot!